So what happened to all of my workout posts?! Yes, it has been a while. Doing regular p90x workouts made it a lot easier to write about progress with each daily workout. But for the past few months, I have been trying to mix in a lot of other outdoor activities as a supplement. During the summer it is hard to commit to staying inside for workouts when I could be running, biking, or even rafting! Plus, I have been out-of-town a lot so it’s hard to stick to a certain regimen, even if I do use the hotel gyms. Will I make it? Who knows. But I’ve made it through the first few days! Wish me luck and hopefully I can keep up regular updates to stay motivated! 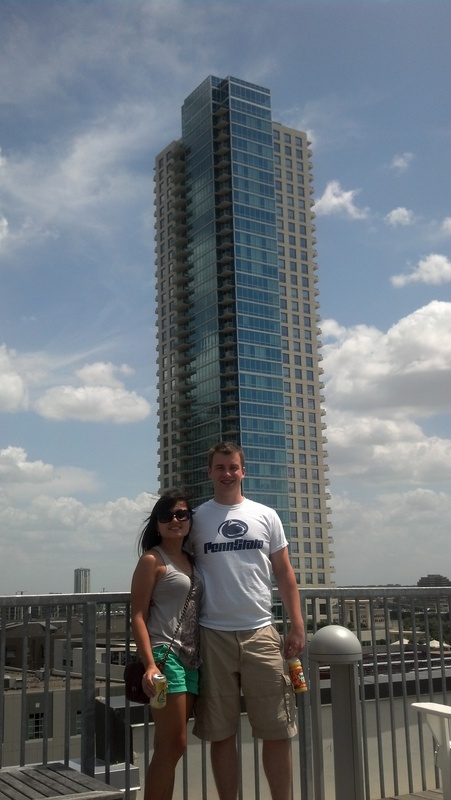 Eric and I headed out to Austin, TX for a few days. My brother turned 21 over the weekend so of course we had to celebrate. 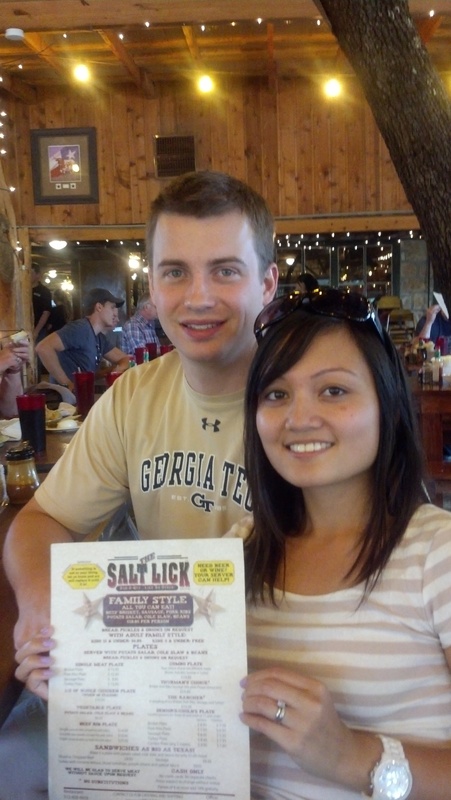 Day 1 :As soon as we arrived, we were starving and went out for some Texas BBQ at Salt Lick. I’m not a major BBQ eater but Eric is and I heard good things about this particular place so off we went. Austin this time of year is just unbearably hot. I thought I was going to melt just walking across the parking lot. 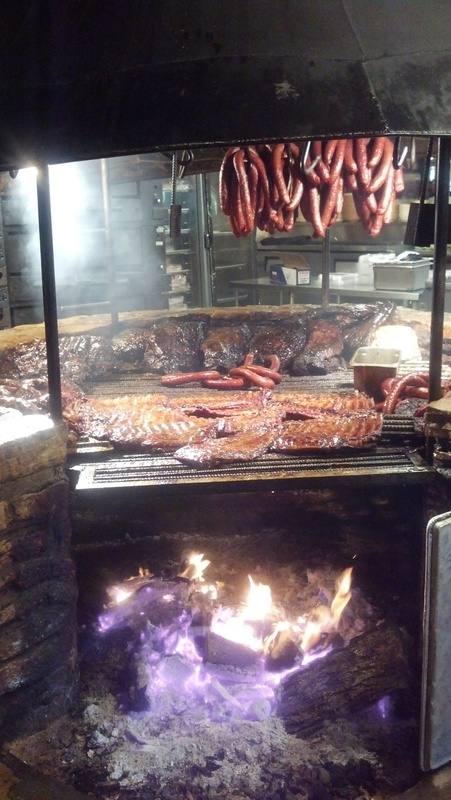 After seeing this BBQ area, I knew I was in for some serious eating. The place was huge with long tables in a community dining setup. 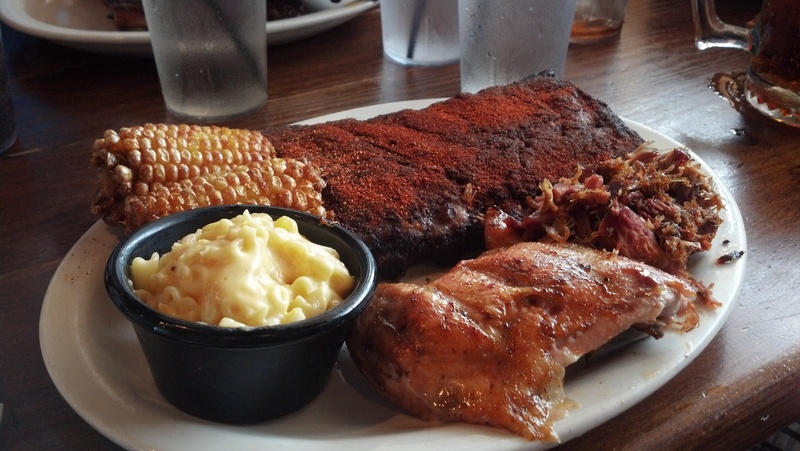 Eric decided to try the unlimited BBQ special and so plate after plate of bbq meat and sides arrived at our table. 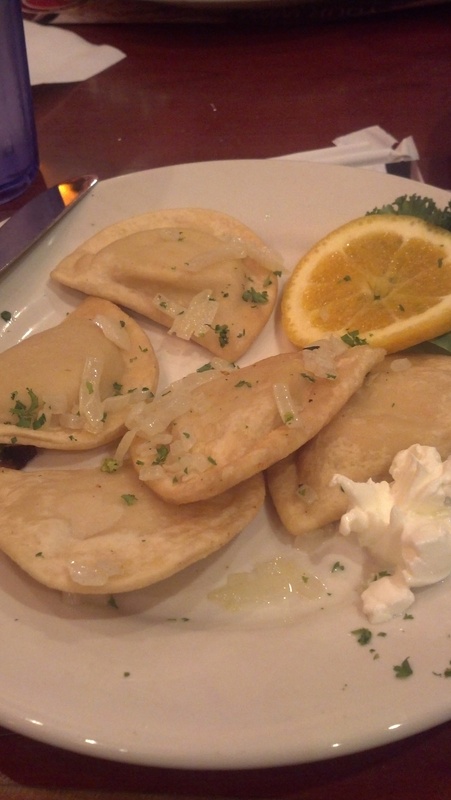 I enjoyed my meal, especially the yummy sides. 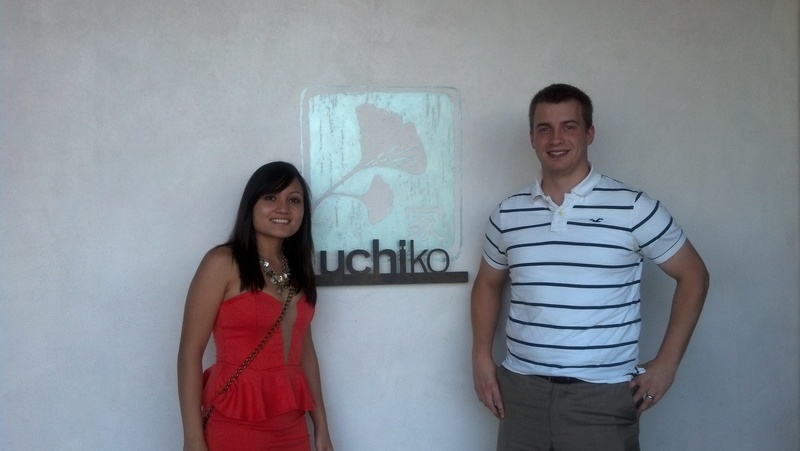 Later that night, we finally met up with my brother for his birthday dinner at Uchiko right in Austin. Apparently the chef competed on Iron Chef (a cooking show). The food was absolutely amazing. We decided to do the chef tasting. They basically ask what you like and dislike then put together a few plates for everyone to share. Dishes keep coming out until you tell them that you are full. I think we made it through 6-7 rounds, lol. I have been in a real funk this week (and it’s not even over yet). This week is a 4 day work week for me since I am taking off a day to travel to Austin, TX. Usually short weeks keep me excited and pumped for the weekend. Unfortunately, work has been crazy (working late and bringing home work) and Eric started classes this week. Yes, my overachieving husband has decided to go back for Masters #2 while continuing to work full time. It’s really quite impressive. Anyways, we’ve had to adjust our schedules to accommodate school and it’s been a little rough. I finally decided last night that I was going to gather whatever energy I had and make a real dinner for us, even if it was getting late in the evening. I remembered we had some salmon and determined it would be easy to prepare and fairly quick. I usually like my panko salmon recipe but decided to try something new. After seeing Eric’s bottle of honey bourbon, I knew what I could do…Maple honey bourbon glazed salmon! Heat the syrup, bourbon, and juice bringing it to a boil on med heat. Lower heat. 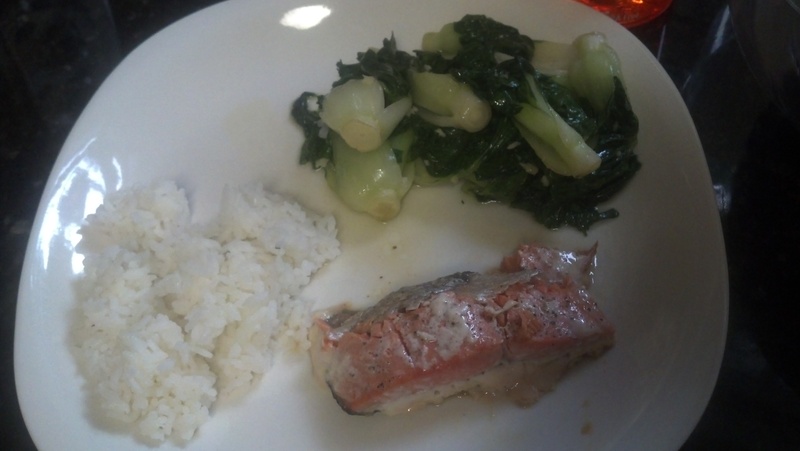 I served the fish with jasmin rice and baby bok choy sautéed in garlic. 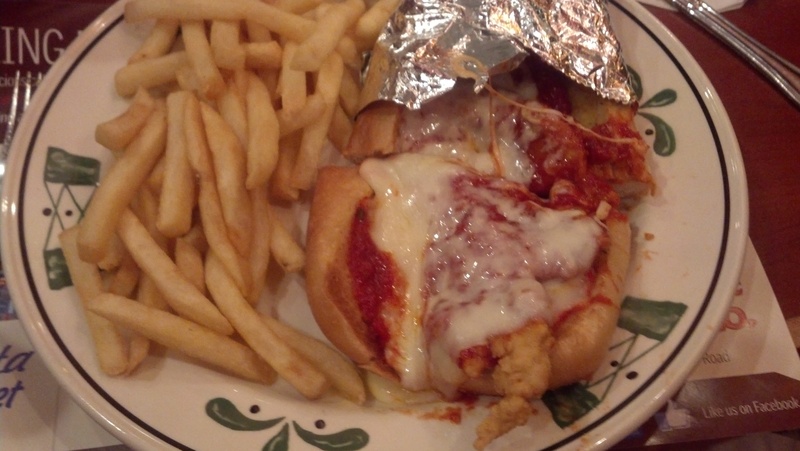 Do you know what happens when you are at a bar late at night talking about food? 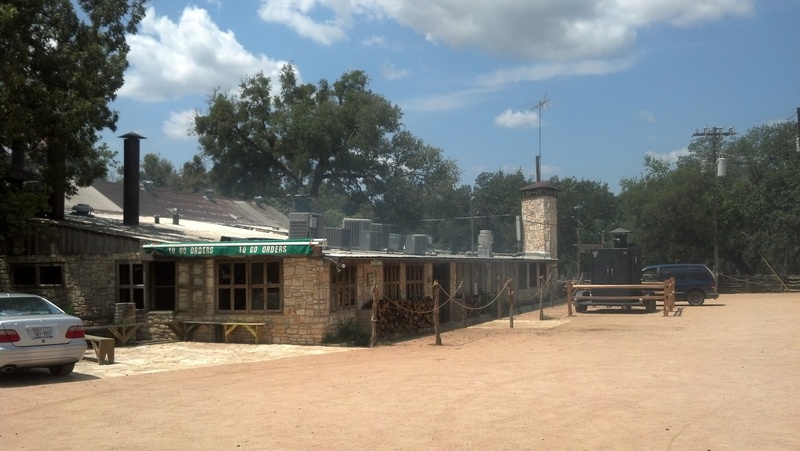 You end up visiting a place highlighted on the food network channel. Well, at least that is what happened to us this past weekend. After a long work week, we joined friends for a few beers at a nearby bar, hand-in-hand. Fun side-note, this was actually the first bar I visited when I moved to Atlanta nearly 5 years ago. Anyways, we spent the evening catching up and somehow food entered the conversation. Eric and I were complaining that the one thing we have yet to do in Atlanta is eat at a really good authentic diner. 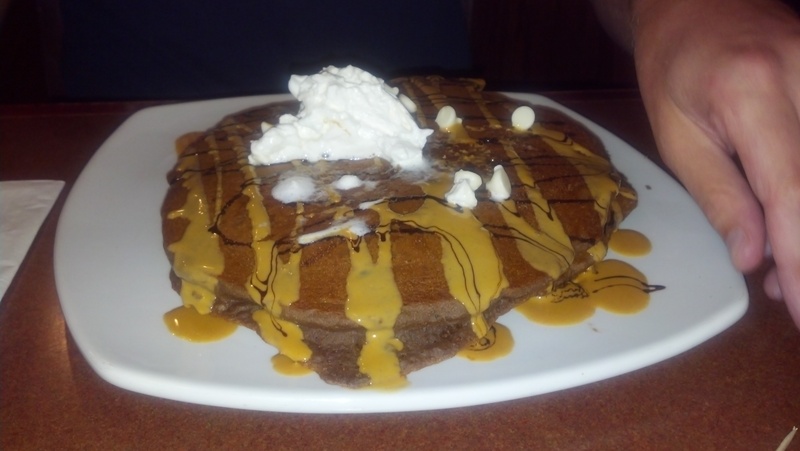 I love diners because of all of the food options and Eric likes it since breakfast is usually served 24hrs a day. 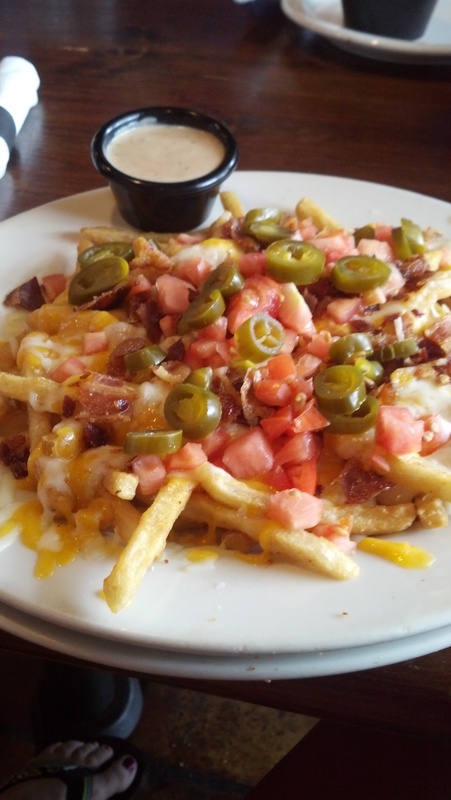 Our friends mentioned a really great diner in Marietta, outside of Atlanta, that was featured on Diners, Drive-Ins, and Dives. 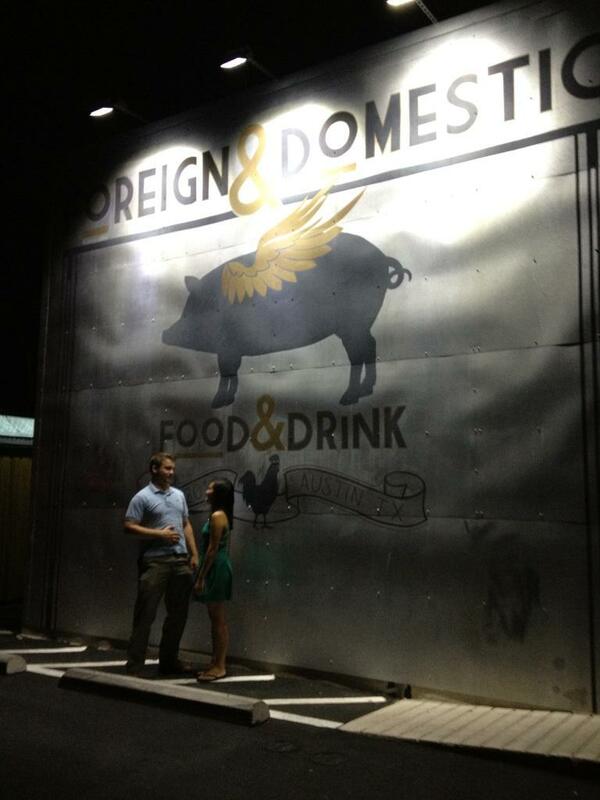 The host visits low key places and so far all the ones I have visited that were featured on the show were delicious! 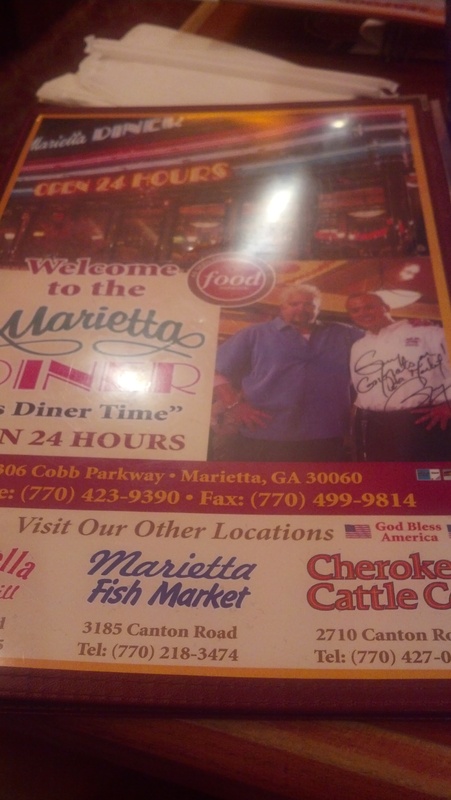 This place is simply called, Marietta Diner. 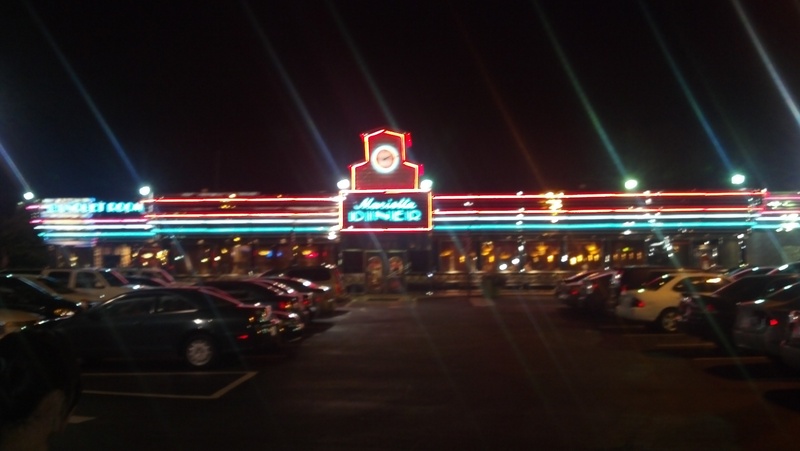 It starts to get later in the night and my midnight munchies feeling kicks in so we decide to make the drive up to Marietta GA to check out this diner. It definitely had the diner look from outside! I ended up ordering a small plate of pierogies and Eric decided against the usual breakfast meal and had a chicken parm sub. Yes, it was probably completely unnecessary to eat all this so late at night and I should have just waited to try it another day but it was delicious and worth the drive out there! Thank you Guy Fieri (the show host) and our friends for helping us find a diner down here in Georgia! Last weekend, one of Eric’s fraternity brothers got married in Ohio. It was a really short weekend for us. We decided to fly in Saturday morning arriving a few hours before the wedding. Here is a tip when you travel (something I often neglect to do), check the weather at your destination before you begin packing. It’s been really warm here in Atlanta and since it is August, I assumed it would be slightly cooler there but still warm. Nope, I was wrong! It was a high of 60 cloudy/rainy. Not exactly ideal when wearing shorts and a tank top. Plus I packed a summer dress to where to the wedding! 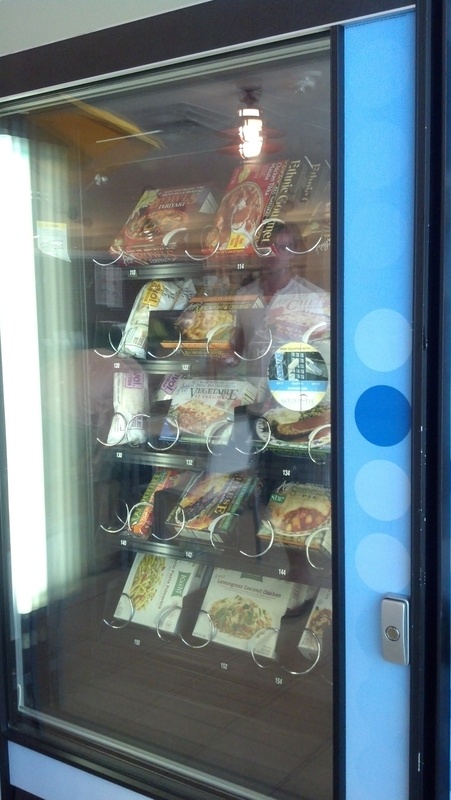 We picked up our rental car and went looking for food. We eventually found a non-chain restaurant, Samantha’s restaurant. (I would link to their site but it seems to be down at the moment). 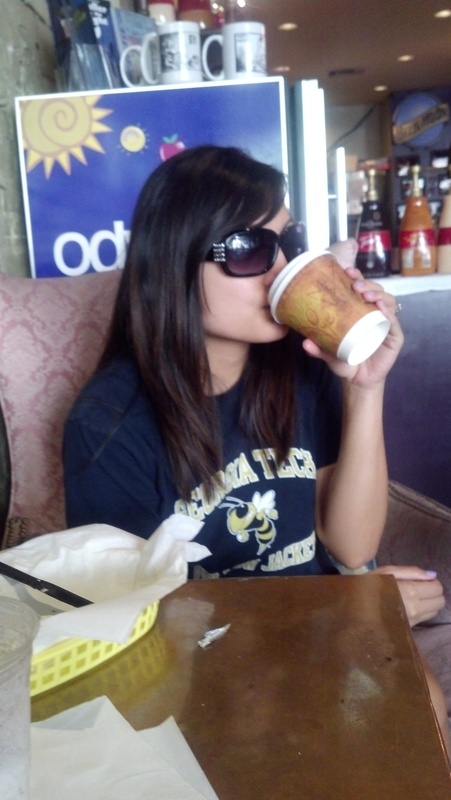 We saw reviews saying it is a good breakfast/lunch place. 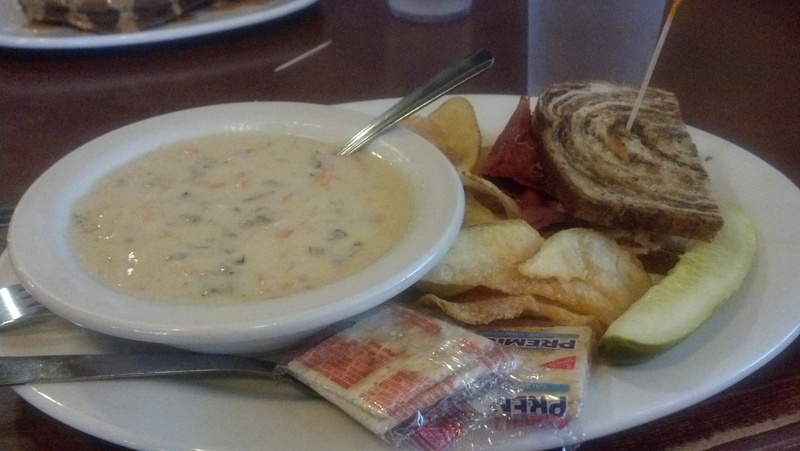 Eric had peanut butter chocolate pancakes and I had half a reuben with soup (since I was still really cold). Yummy! 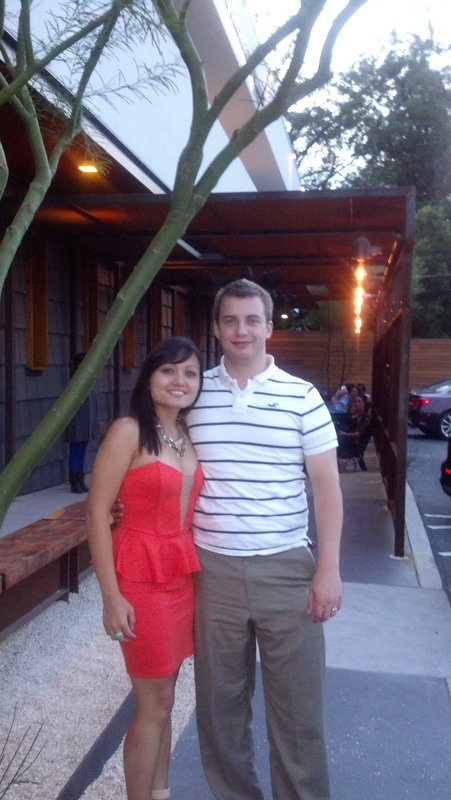 After that tasty meal, it was time to get ready for the Mahoney wedding. 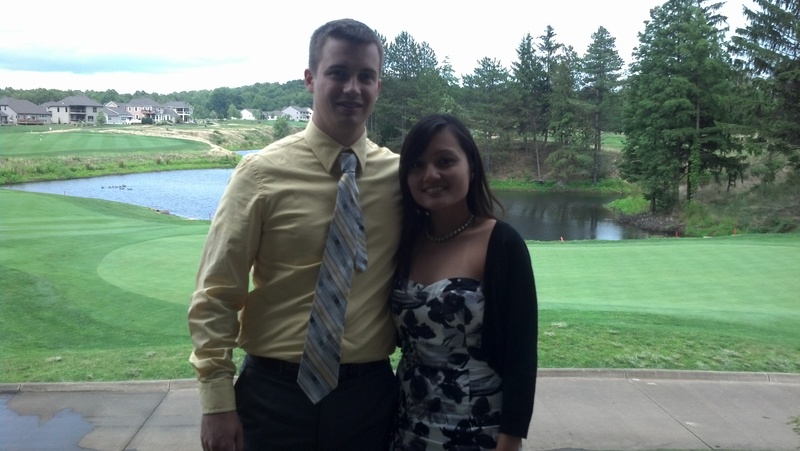 The ceremony was at a church and the reception was at the Quarry Golf Club; both were beautiful. 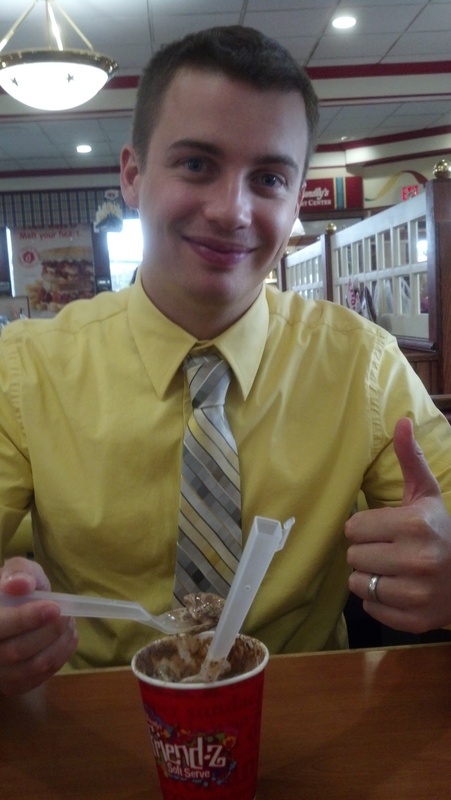 We took a break in between the ceremony and reception to grab some ice- cream at friendly’s. Eventually the clouds started to break and we had a nice view sitting out in the patio looking at the golf course. Eric had a great time catching up with old friends from college and we enjoyed meeting new people while celebrating our friends’ big day. 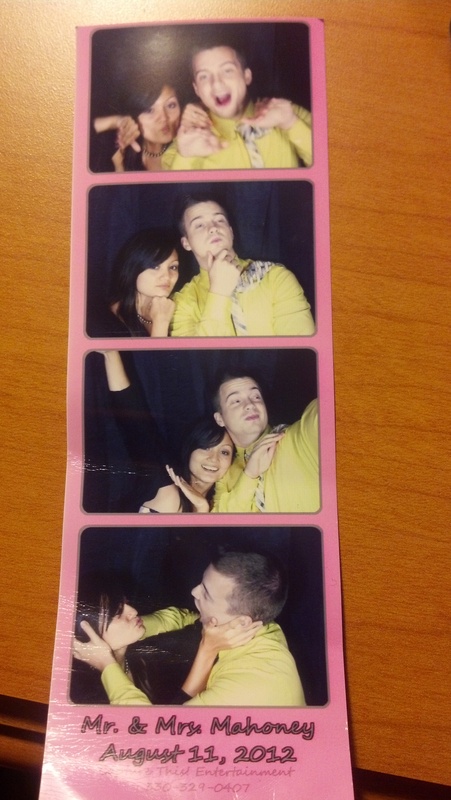 Like our photo booth pictures?! LOL I recommend having one for a wedding reception! Sunday morning, we struggled to wake up and catch our morning flight back to Atlanta; signs of a fun night 🙂 It was a short trip but we had a good time! Sorry for the delay in postings, it’s been a busy couple of days. A lot of my spare time was spent working on this project. First, a little background. I was reading through a few blogs and came across making life pretty. If you are in the artsy mood, this is definitely a great blog to check out. Anyways, one of her posts detailed making a travel map for the places they visited. I thought this was a fantastic idea, especially because we LOVE traveling! Even our wedding table numbers highlighted several of the places we visited together. Anyways, I was a lot more crafty with wedding projects and decided I wanted to start another project, this time for the house. Thank you making life pretty for the inspiration! Eric was key in the assembly, explaining the right glues to use, providing measurements, and eventually hanging it for me! We purchased a 50×32 inch world map. Yes it is big but I wanted to eventually hang it on one of our walls and that was just the right size. With it being so large, framing was not an option due to the cost. 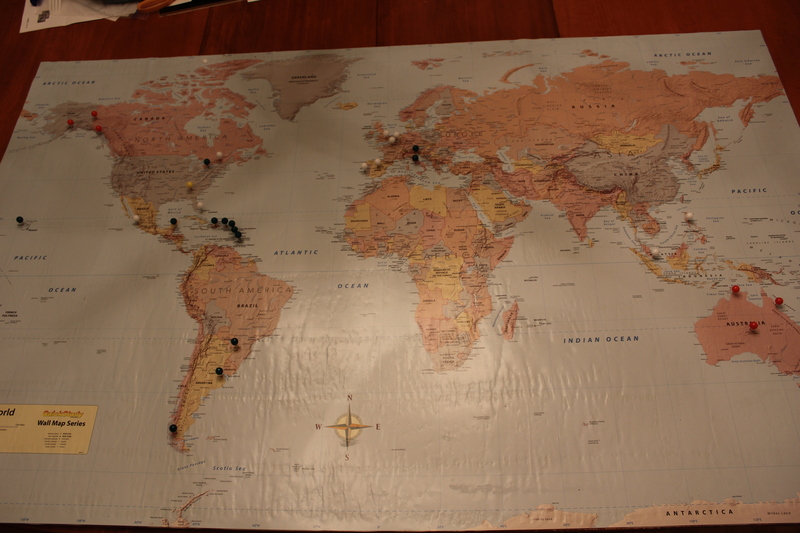 Instead, I trimmed cardboard and cork board to match the size of the map. 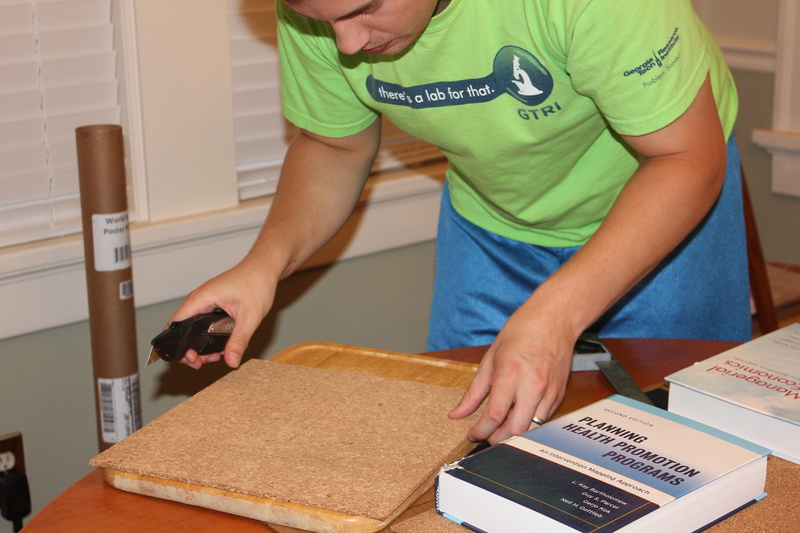 I used the wood glue to paste the cork board to a large cardboard display. The map was then glued to the cork side or the mount. It took a while to dry but I wanted to make sure everything would hold together. 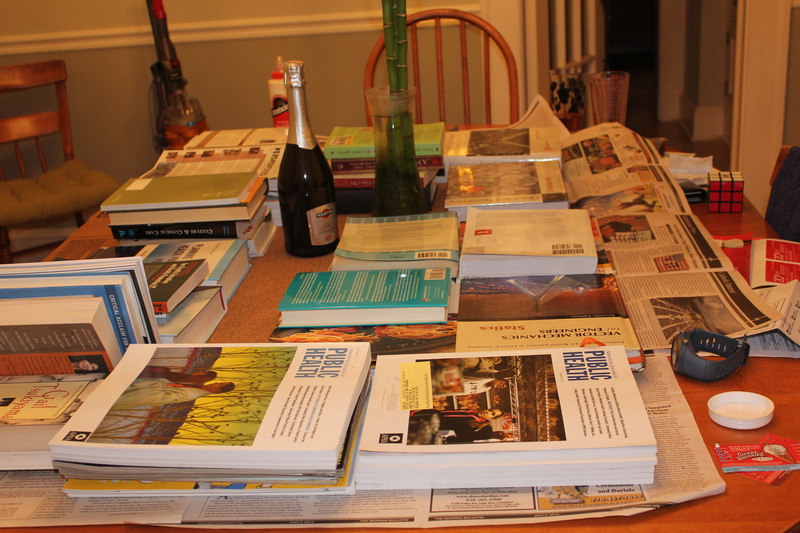 I ended up using our books as a weight. I knew the old textbooks I kept would come in handy! Once it was dry, we flipped it over and attached a mount to the back that would allow us to hang it on the wall. This was complicated due to the weight and size but Eric used his old engineering skills to figure it out for me! Thanks!! Finally, it was the fun part of putting the map pins. We decided immediately to leave out mainland USA. Eric has been to all of the states and I’ve visited most of the US so that would leave our map cluttered in that area. So I guess this map highlights international travel but also includes Alaska, Hawaii, and US territories. Like making life pretty, we color coded the pins. I find it amazing to think of how many countries there are out there and all of the possibilities to go and experience new cultures. It’s a really neat way to visualize our trips together. 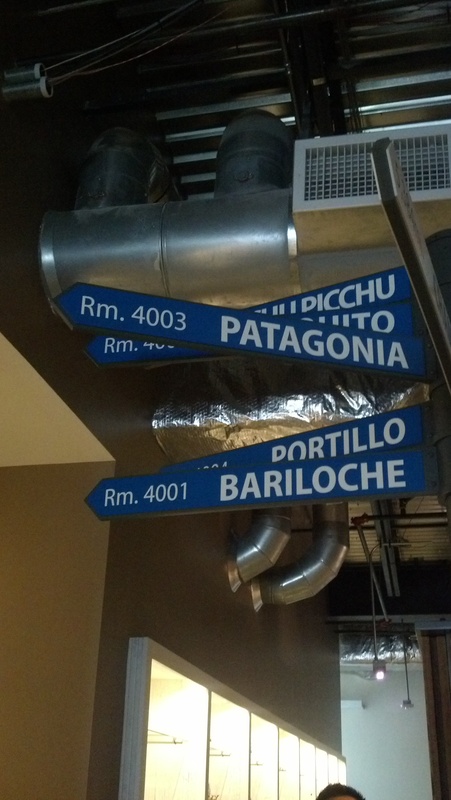 We have it hanging on one of our walls so it also makes for fun conversations with visitors. 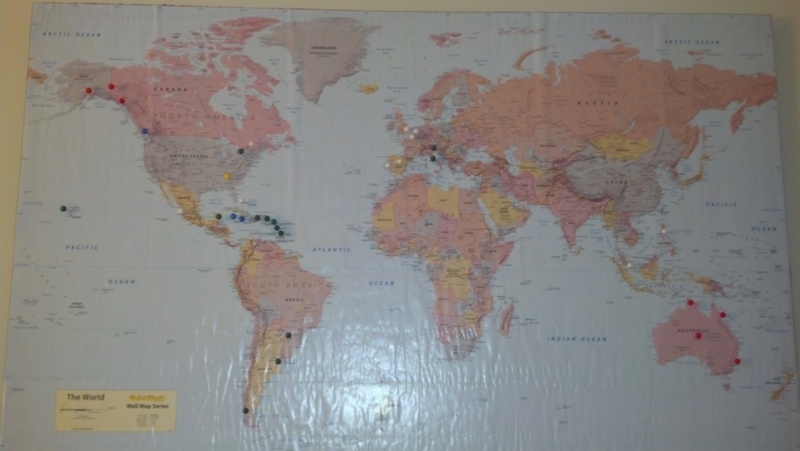 We are very excited to cover the map with more green pins as we continue our travel adventures together! With another trip coming up, my goal is to use up what we have in the fridge. I hate leaving food there too long so it was time to get creative with a few of our meals. 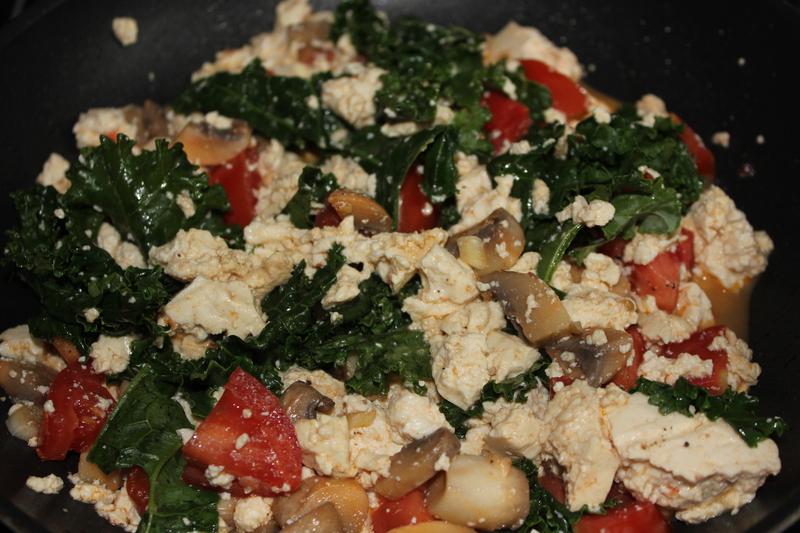 I have seen a few tofu scramble dishes and finally attempted to make one of my own. It was great timing since I had some produce left from the market that I really wanted to use. Sautee tomatoes, garlic and mushrooms in olive oil for 2 to 3 minutes. 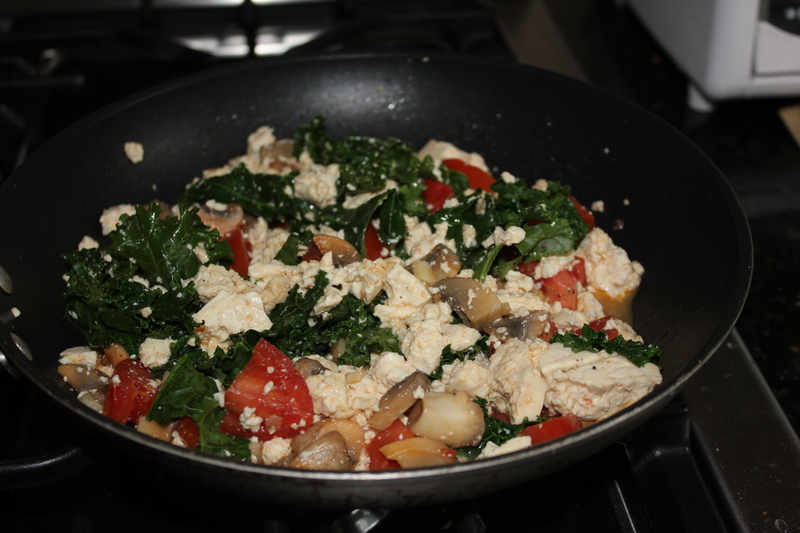 Reduce heat to medium low and add kale, crumbled tofu, soy sauce and lemon juice. Cover and cook for 5 to 7 minutes, stirring occasionally. The title pretty much sums up our weekend. We decided to take advantage of the weather and filled the weekend with outdoor activities (plus I had no desire to do an indoor p90x workout or go for a run)! We took the bikes out for an early ride Saturday morning. It was cloudy all morning which kept the temperatures down and there were fewer people out since we started earlier this time around. We stayed for about 2 hrs before heading home. It’s so nice to be finished with a workout all before noon. It makes me feel like I have more weekend time. 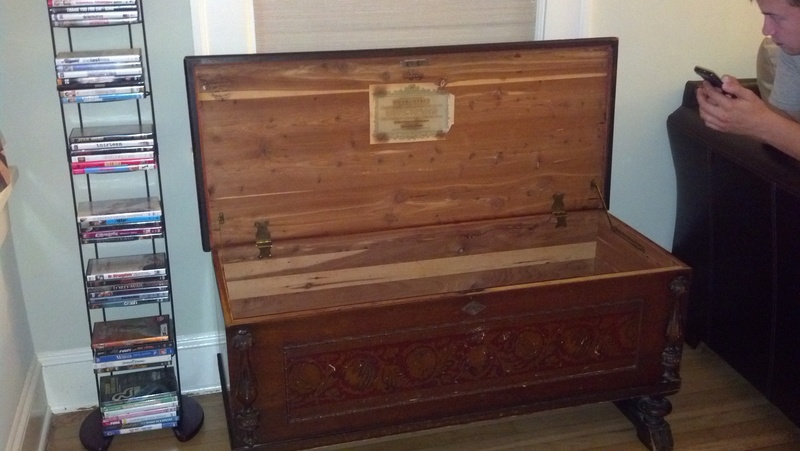 Once we got home, we stopped by the estate sale where we found our wooden chest. By the end of Saturday, my legs were tired from our morning workout and my arms were tired from carrying the chest back to our house. Sunday, we met with a few friends to go whitewater rafting on the Ocoee River in TN. We decided to go rafting through the Nantahala Outdoor Center. There are several different companies but I think this one has to be the best out of all the ones I have tried. They are just very professional and have well experienced guides. Since I couldn’t exactly carry a camera and didn’t want to buy pics, I found a video of other rafters on the Ocoee using the same company. If you go, try to get Crazy Pete as your guide. He was awesome! I am a big fan of estate sales and was very excited to see the signs for one just a few houses down from our house. Our neighbor recently sold his house; he is a nice man who has lived in the neighborhood for 40+ but decided to downsize to a condo and needs to sell a lot of his things. We were able to sit and chat with him for a little bit and heard many interesting stories of his time living in the neighborhood. 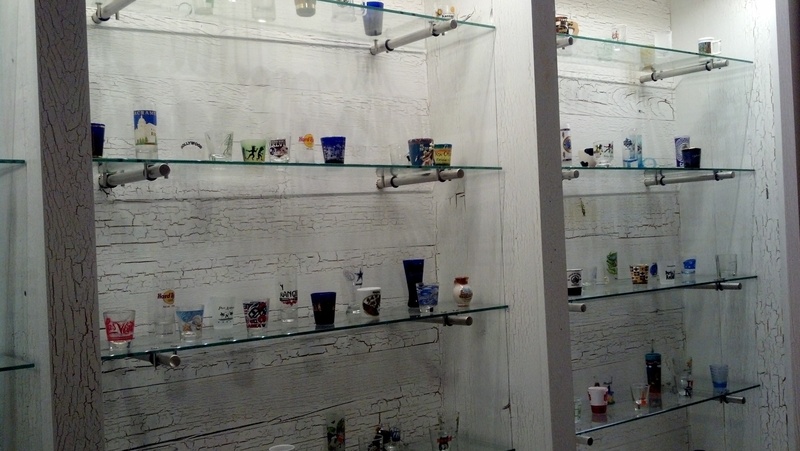 I could tell from his stories that he has collected neat things over the years. We walked into the house and immediately saw intriguing, older pieces that I loved. I really enjoy older furniture. Furniture used to be made from real wood, with intricate details, that were built to last decades. Nowadays, furniture just does not seem to have the same quality. 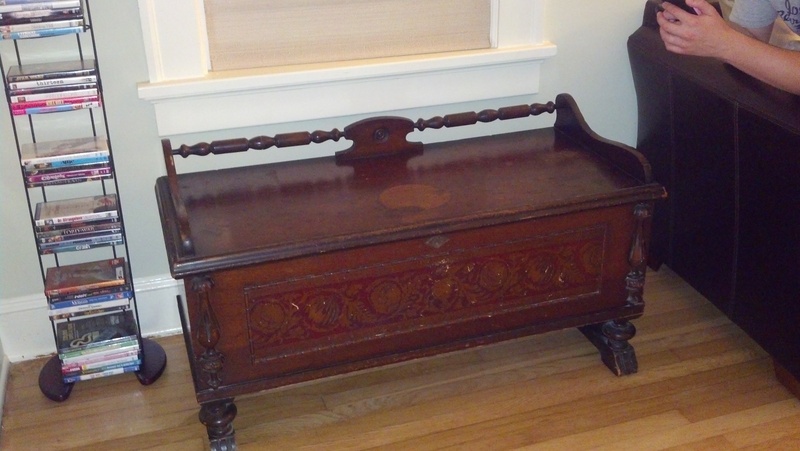 I was drawn to an old wooden chest that I saw in the corner of a room. It has beautiful detail on the outside and the interior was made of cedar. I learned it was made in 1910, a piece that his family kept over the years. Since he knew us, he was really generous with negotiations and we were able to buy the chest for much less than some ikea furniture. It was a little difficult to carry and walk it back to our house, but it made it in one piece! After some cleaning, we found a nice little spot for it in the living room. One of the things that I am enjoying the most about owning our first house is finding really unique pieces for each of the rooms. We aren’t buying furniture just to fill up space, but rather we are finding something that has a story or a little more meaning. It really makes our house feel more like a home!